Are you so busy you forget to enjoy life? This workshop is directed at people who feel overworked and have lost balance in their lives. It is for anyone who wants to be more resilient and is ready to take action to make life more rewarding and fun. Join other like-minded professionals to discover how to establish a better work-life balance. Take time to reconnect with yourself and what you want in life. The course will give you the tools to become more resilient and purposeful in creating the life you want. It will offer skills to make you better equipped to change things when they don’t go according to plan. The residential will allow you time to look at yourself, your life and those around you from a more positive perspective. “Each activity is focused on what YOU need from it”. My training and development experience spans over 25 years. I’ve supported many hundreds of busy people in the private and public sector. I’ve helped them learn how to cope with significant work pressures and still allow quality of life outside of work. This residential will offer the same valuable tools and much more. 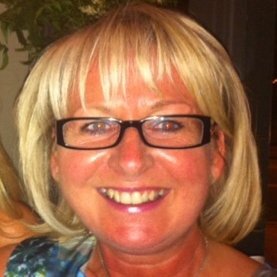 Sue Smith – Director. Alpha Costs Consultants Ltd. The course will be delivered at a private venue located close to the center of Newmarket, Cambridgeshire. We will send you directions when you register. This peaceful self-contained venue is set in its own beautiful grounds, with meditation room, quiet spaces and gardens. There is wheelchair access to all communal areas and ground floor bedrooms. This retreat center is the perfect place to take time out and reflect on your life. What’s included? 2 days of resilience tuition/ all meals (vegetarian options available)/ refreshments / 2 nights accommodation (own room with washbasin) / all materials/ on-site parking / free Wi-Fi. The residential begins with a welcome on Friday 5th July at 5pm and ends on Sunday 7th July at 4pm. To get the most from this course we strongly recommend delegates attend for the full duration. Maximum of 10 delegates – so book your place now to avoid disappointment and to receive your pre-course content for maximum benefit. If you have any questions or would like to discuss your needs please feel free to contact me. When you are open to change and willing to talk about how things are for you, quick change is possible. You will spend the week-end learning more about the way you do things currently and why this isn’t working for you. Then, throughout the week-end, you will be supported and encouraged to think deeply and differently. You will plan your actions in detail and start practicing doing things differently from day one. Here are our Terms and Conditions so you can book with confidence. If you would like more information about this residential resilience course before you book your place please read on. Is this RESIDENTIAL really for me? This residential is perfect for anyone who wants to change things in their life and is ready to take action. These changes can be work or home-life related. As part of this course we will ask delegates to tell us the main challenges they face. This will help us create a tailored programme for you. Some delegates want more calmness or balance in their lives, others want to totally change a particular aspect of their live. You can decide on the areas you want to focus on and the workshop with its depth and richness will support you. During this week-end retreat you will be guided through the agenda with time built in for small group work and heart-to-heart, 1-2-1 discussions. There will be space and time to help you feel refreshed. The work we will do on your action plan will give you clarity and a renewed enthusiasm for your approach to work and life. Once you’ve decided to attend I ask you to reserve your place (link at top and bottom of this page). 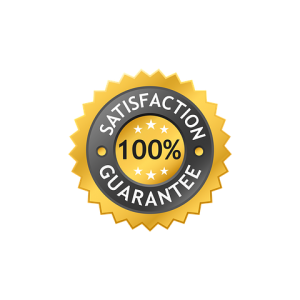 Once your payment has been received and confirmed you can relax in the knowledge that your place is secured. There are a maximum of 10 places on this workshop so book soon if you intend to come. Then 2 weeks before the workshop you will receive an email explaining how to get the best from the workshop and about the pre-course work you need to do before you attend. Don’t worry, we guide you step-by-step through what you need to do. spend a week-end in the company of people who are on the same ‘mission’ as you. leave with a renewed expectation about life. We will have time to relax and enjoy the beautiful surroundings as part of this very special week-end of self-care. We have had so many satisfied participants on our workshops that we’re confident you will be one too if you decide to attend. To help you make the decision, read our Terms and Conditions here.